When children learn how to eat right at an early age, they take pleasure in it for the rest of their long, healthy lives. 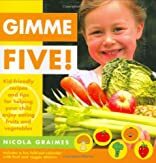 This guide shows parents how to involve youngsters in planning and preparing meals, so that eating right becomes a hands-on family activity. Colorful page design and mouth-watering photography are supplemented by solid nutritional information and practical advice. 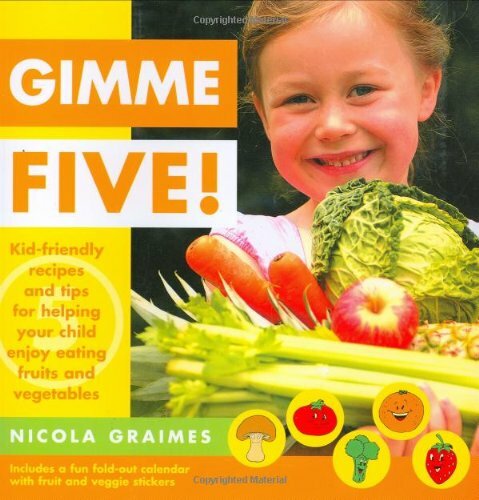 Author Nicola Graimes, a mother of two, highlights one fruit or vegetable at a time. She explains portions and nutritional values, and provides simple recipes-including Leek and Potato Soup, All-in-One Tuna Risotto, Chinese Rice with Salmon Kebobs, and Toffee Apple Cinnamon Buns-that families can prepare together. At the end of the book is a pull-out calendar and happy-faced vegetable and fruit stickers. As children eat fruits and vegetables during the day, the stickers give them a fun way to keep track of their daily intake, while they reduce the risk of cancer, diabetes, obesity, and other health problems.